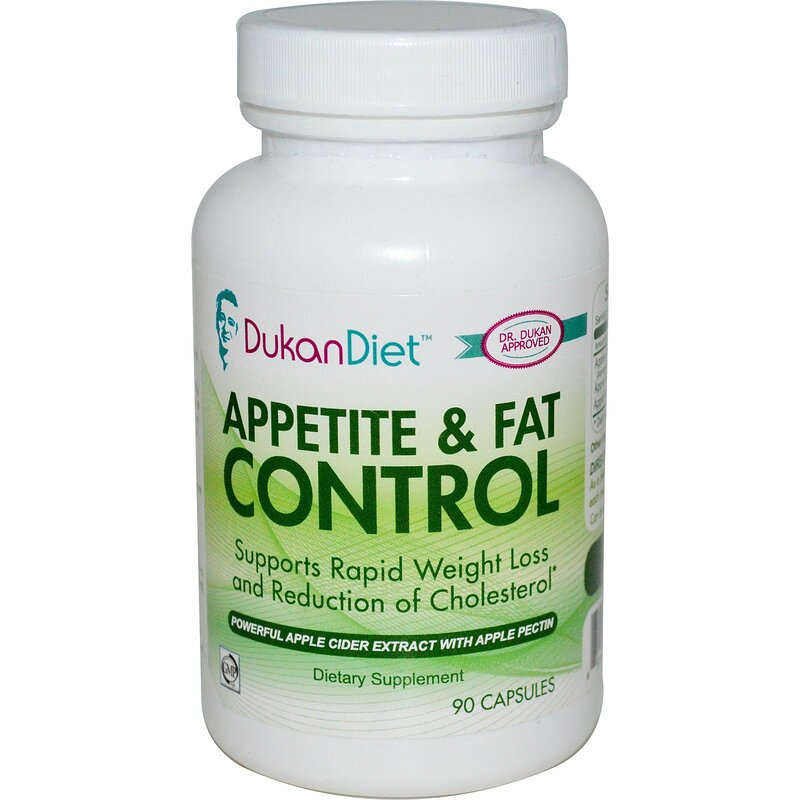 Dukan Diet Appetite & Fat Control supplement made with 100% natural active ingredients, will help you reach and maintain your True Weight. Made with apple pectin and apple cider vinegar, this all-natural tonic assists your body in metabolizing fat and supports healthy cholesterol levels. It also helps improve digestion of protein and can help you feel full faster. 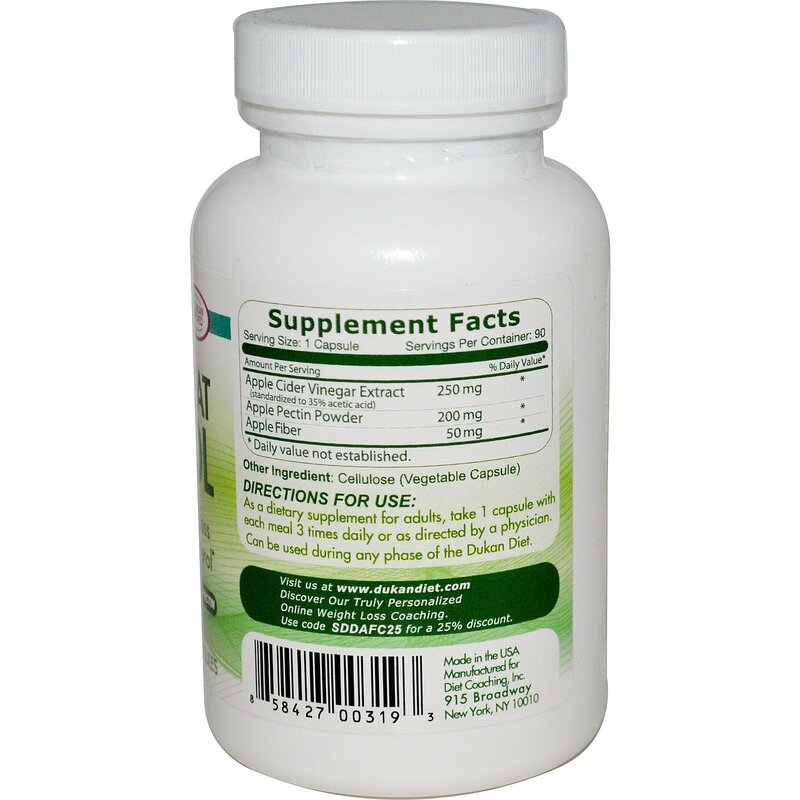 As a dietary supplement for adults, take 1 capsule with each meal 3 times daily or as directed by a physician. Can be used during any phase of the Dukan Diet. Keep out of reach of children. Keep airtight and store in a cool place. Do not use if seal is broken.